It’s rare these days to see a diamond making major global headlines. But on Tuesday, the gem masters at Graff delivered a piece of news that’s too big to ignore—and that will undoubtedly go down in diamond history. In addition to its sheer size, the stone is also notable for its excellent quality. It’s the largest, highest clarity and highest colour diamond ever graded by the Gemological Institute of America, or GIA—certainly not the kind of thing a company can produce overnight. The finished emerald cut was hewn from a massive 1,109-carat rough diamond, which Graff acquired for $53 million (aprroximately $74m AUD). It was so large that it couldn’t be analyzed or cut with existing equipment. Graff had to custom build a scanner and develop new imaging software to discover its potential. 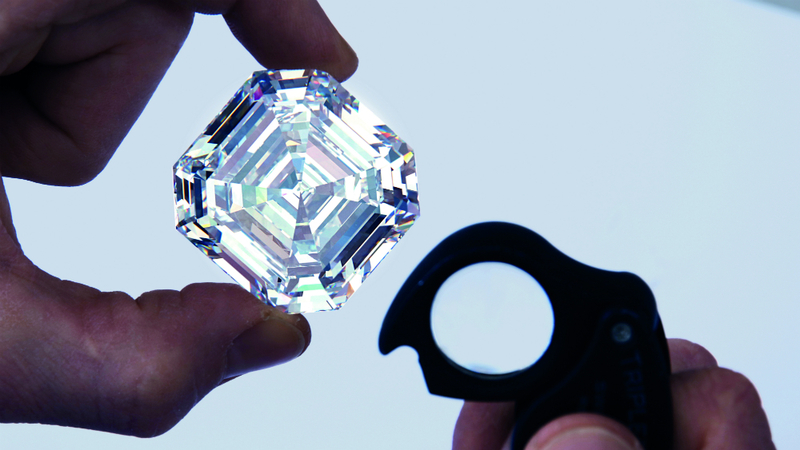 Initially, the group thought that getting a diamond over 300 carats out of the stone was impossible. But over the course of 18 months, and with the input of some of the gemological world’s foremost talents, the rough stone was divided into the headline-making cut and 66 smaller satellite diamonds that range from under a carat to around 26 carats in weight. Part of what makes the stone so special is the rare depth at which it was formed. The GIA placed Lesedi La Rona in a group of “super deep” diamonds, estimating that it was formed three times deeper than other diamonds. That designation led Graff to donate fragments of the original rough stone to the Smithsonian Institute, in the hopes that it will advance research about diamonds. And who knows? Perhaps, armed with more knowledge, tomorrow’s diamond experts will be able to unearth more stunners like this one.